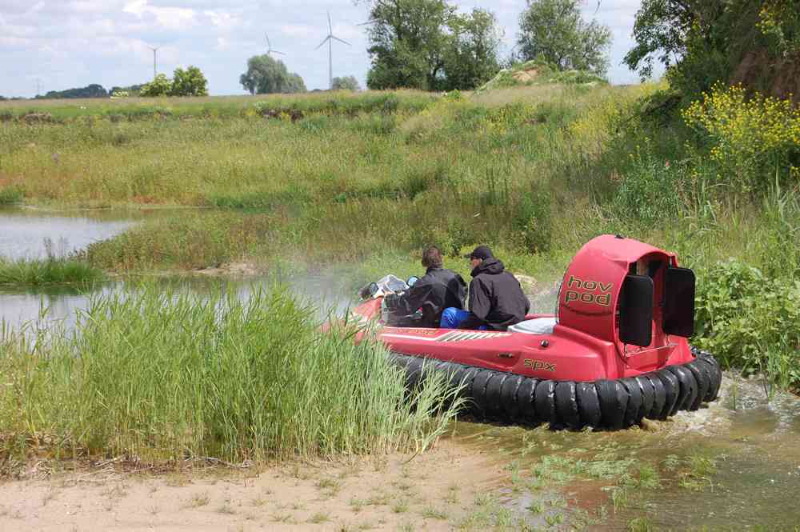 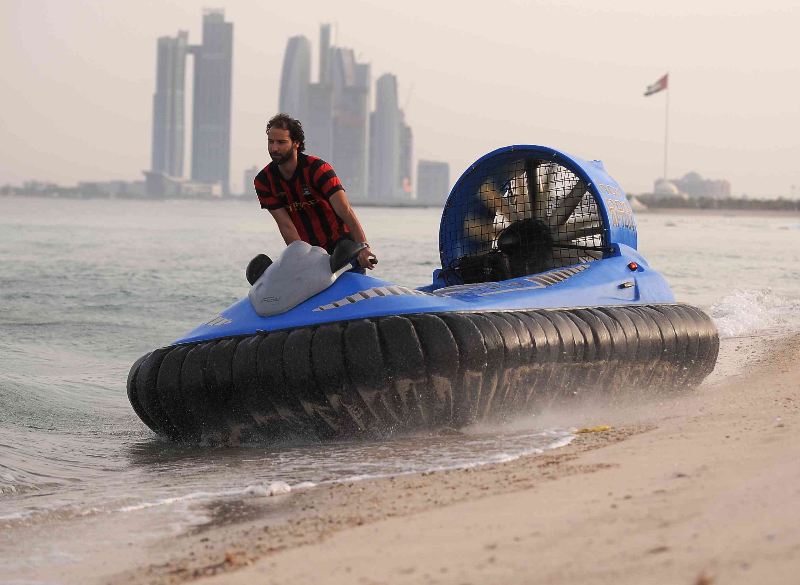 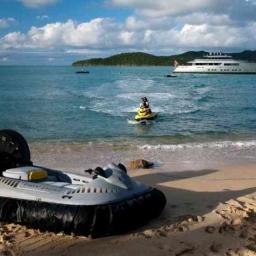 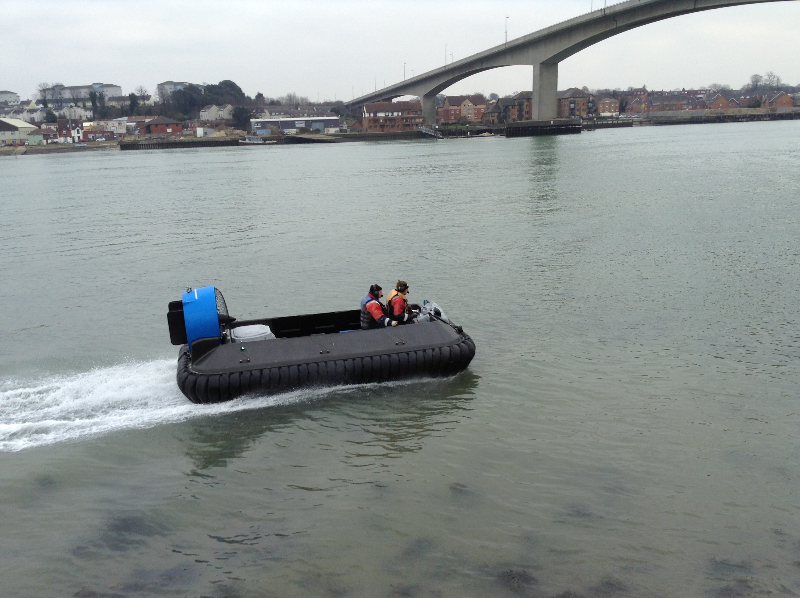 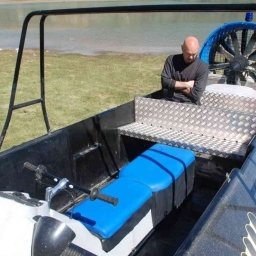 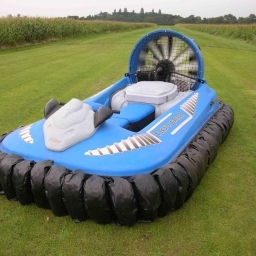 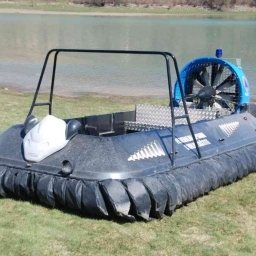 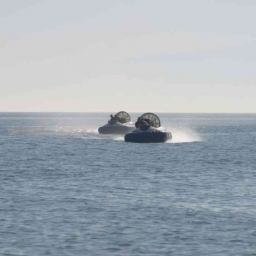 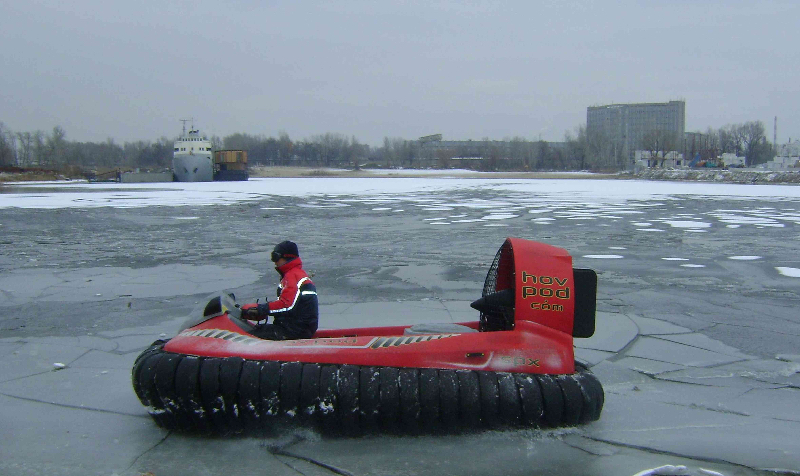 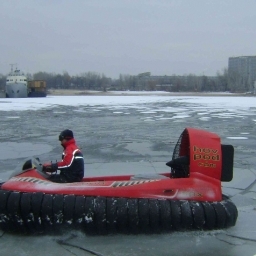 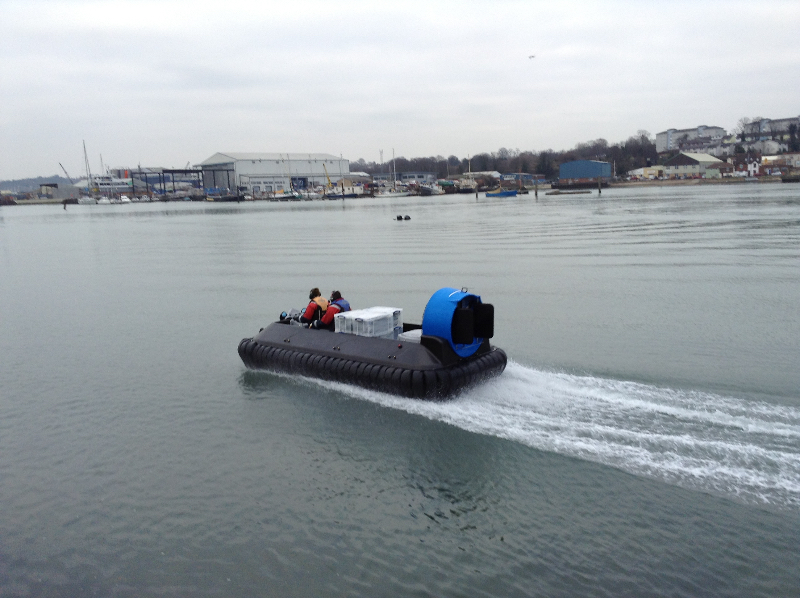 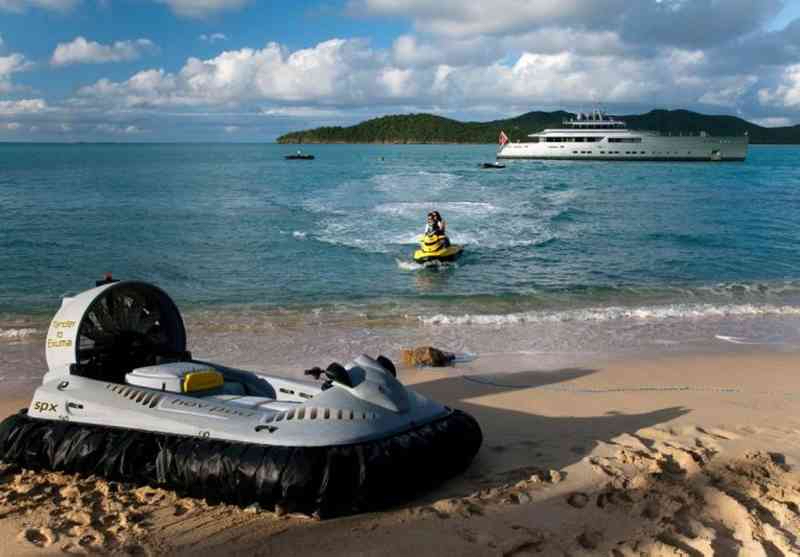 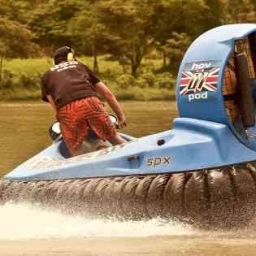 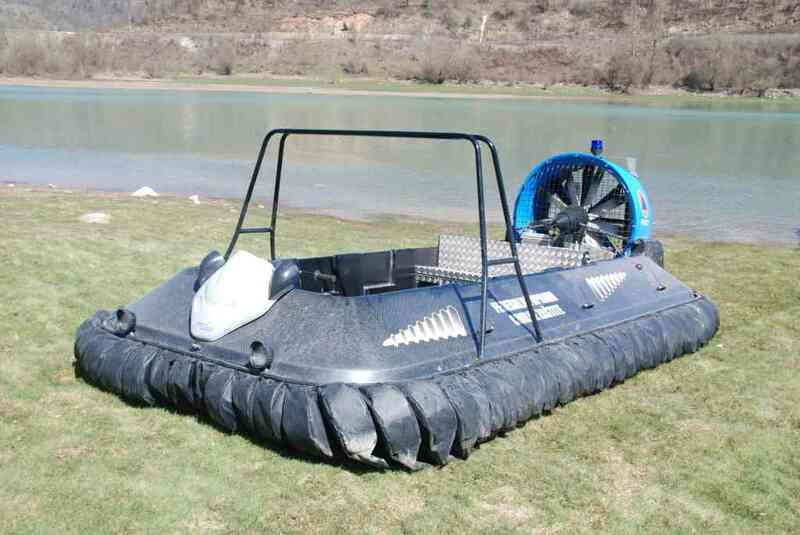 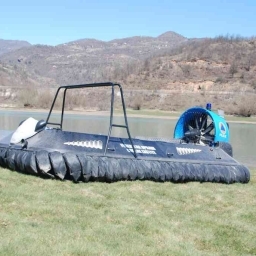 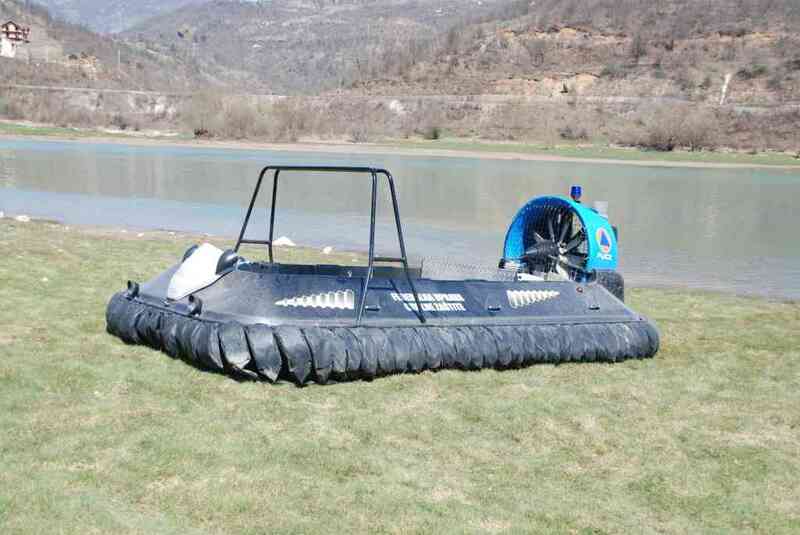 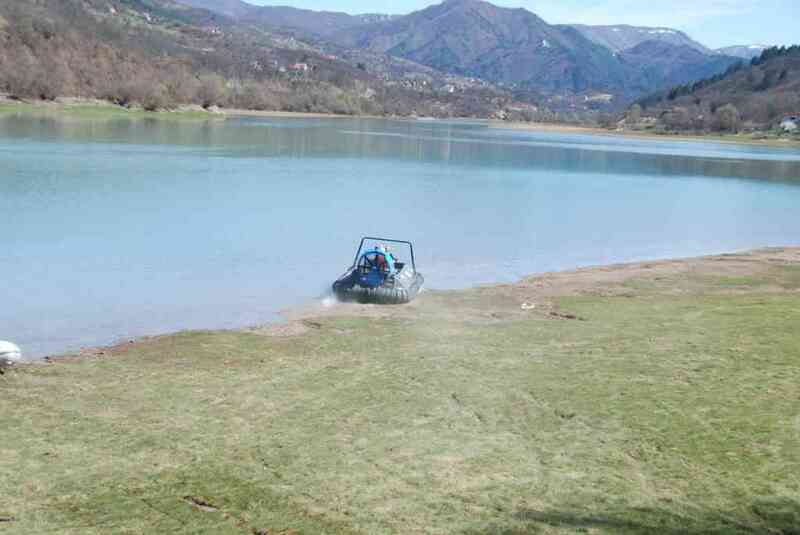 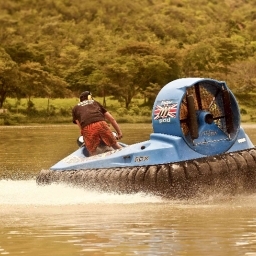 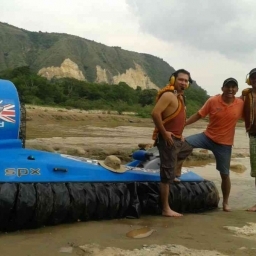 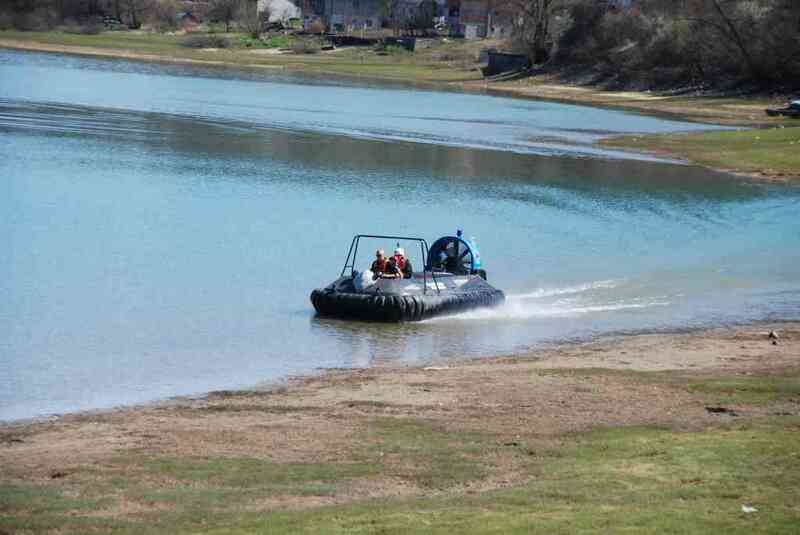 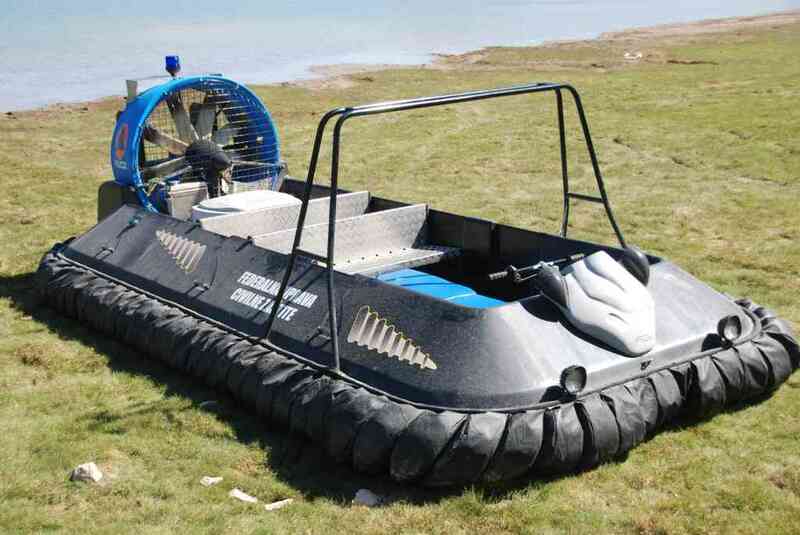 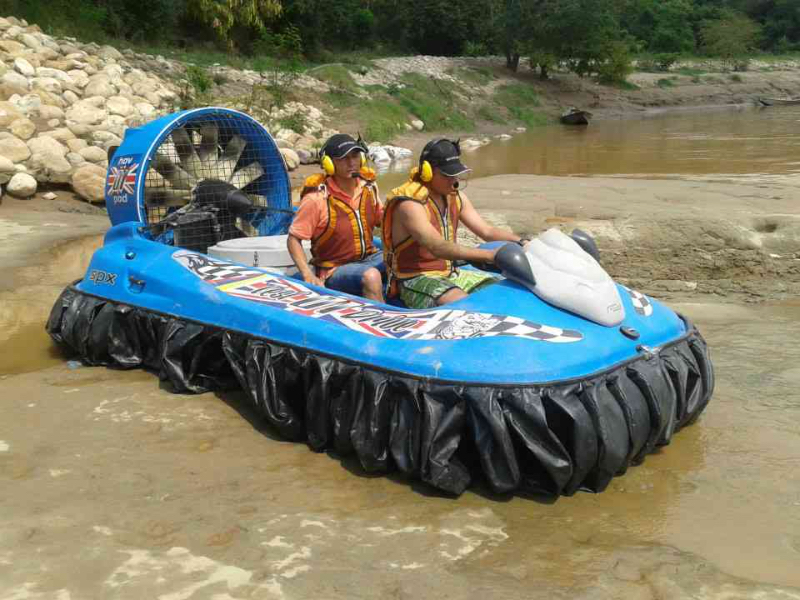 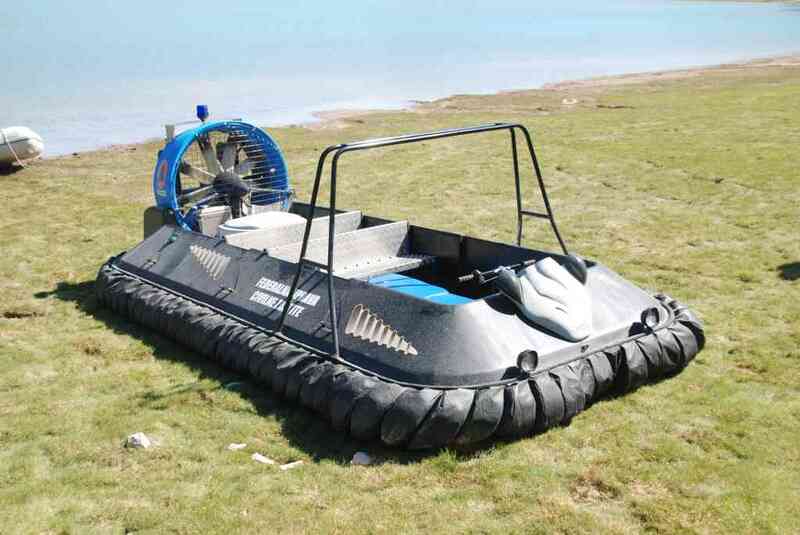 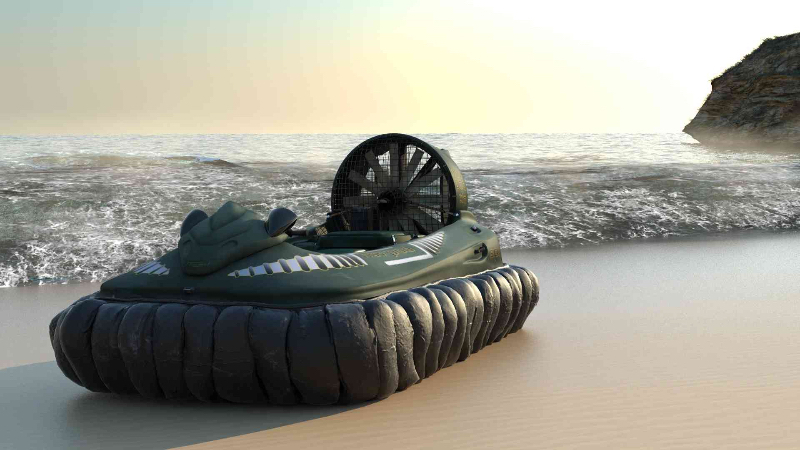 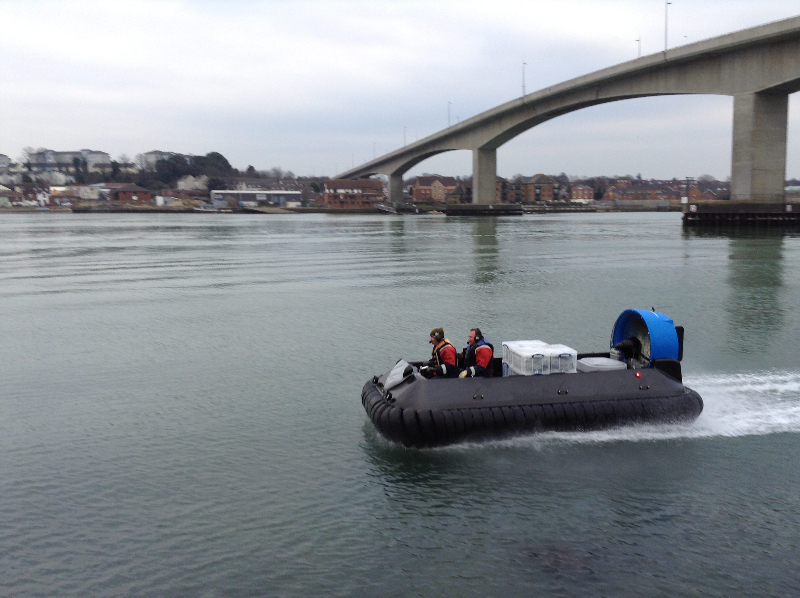 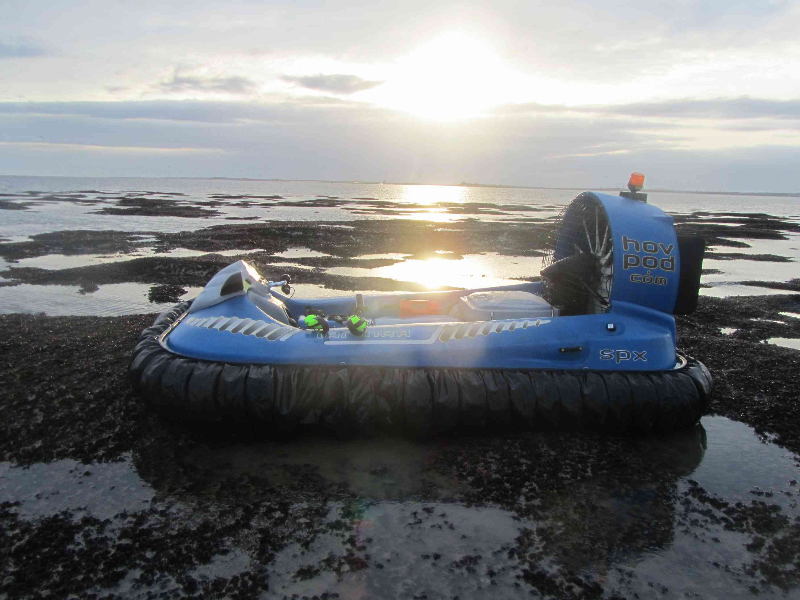 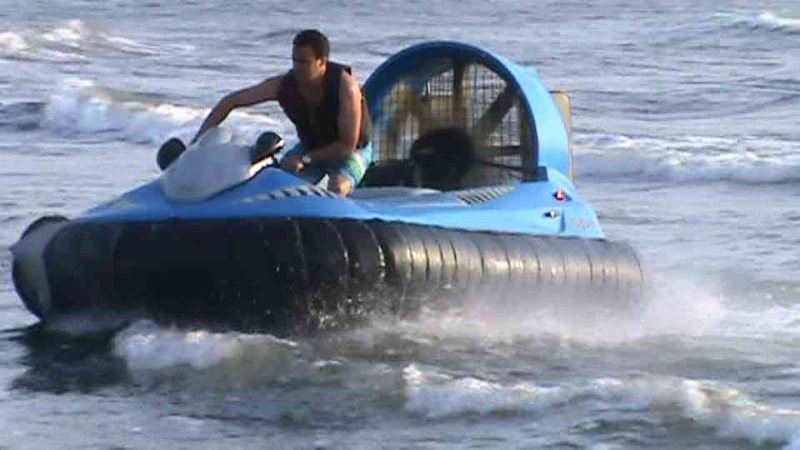 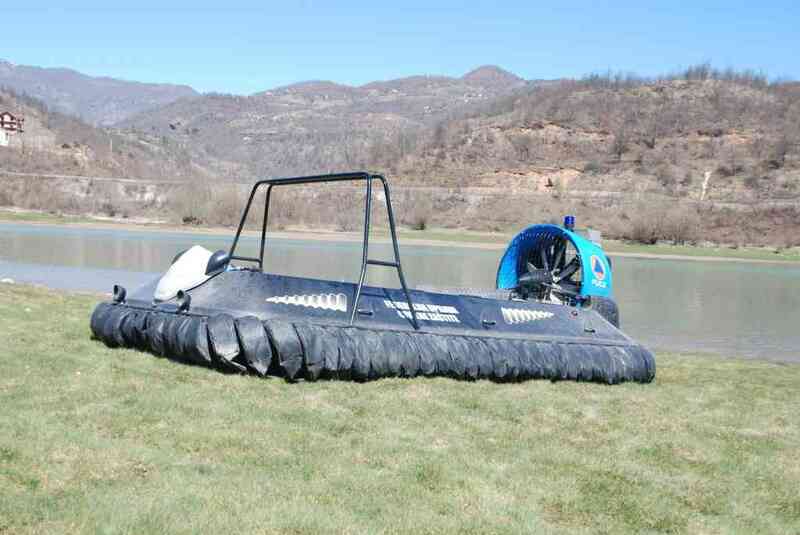 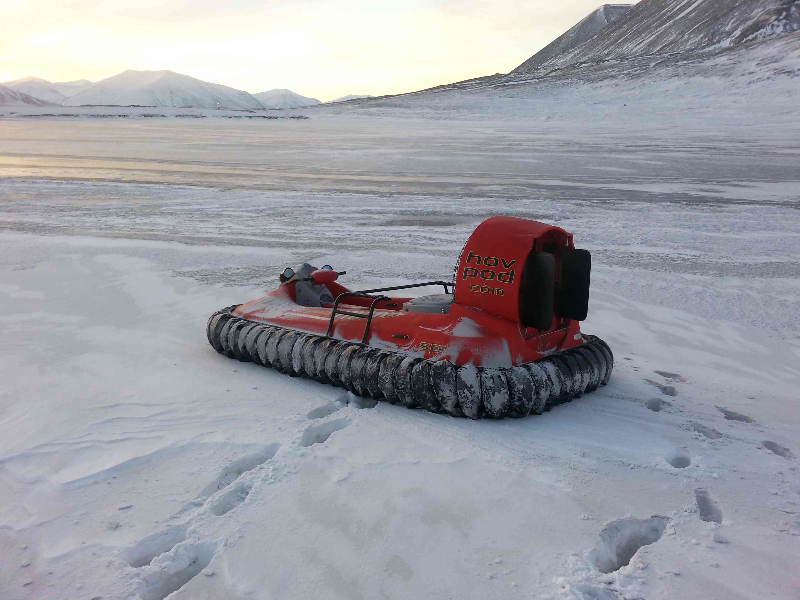 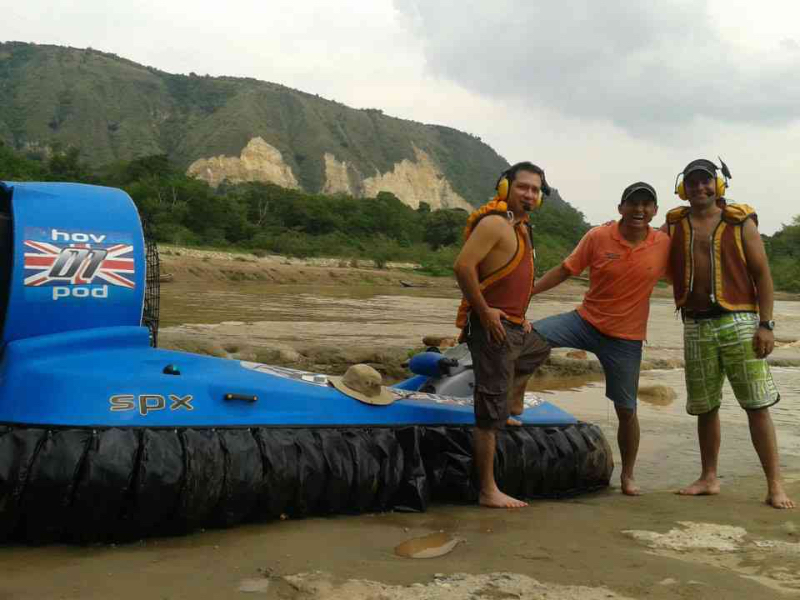 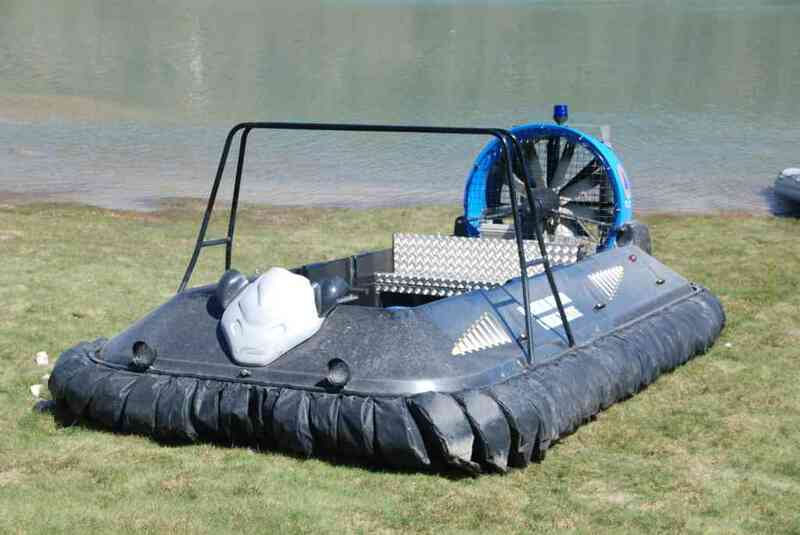 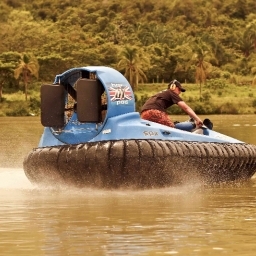 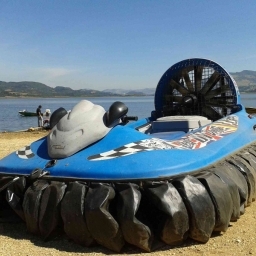 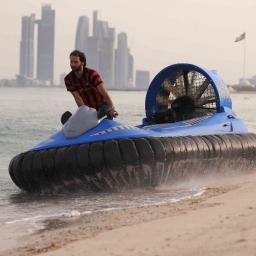 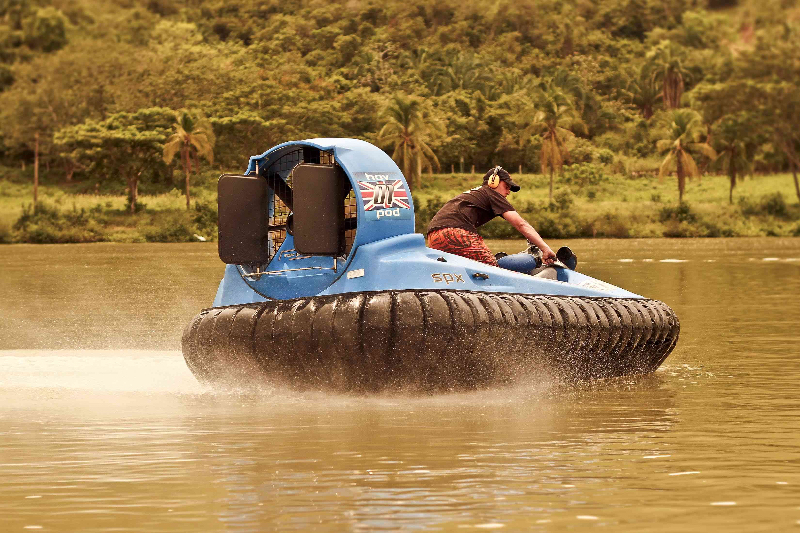 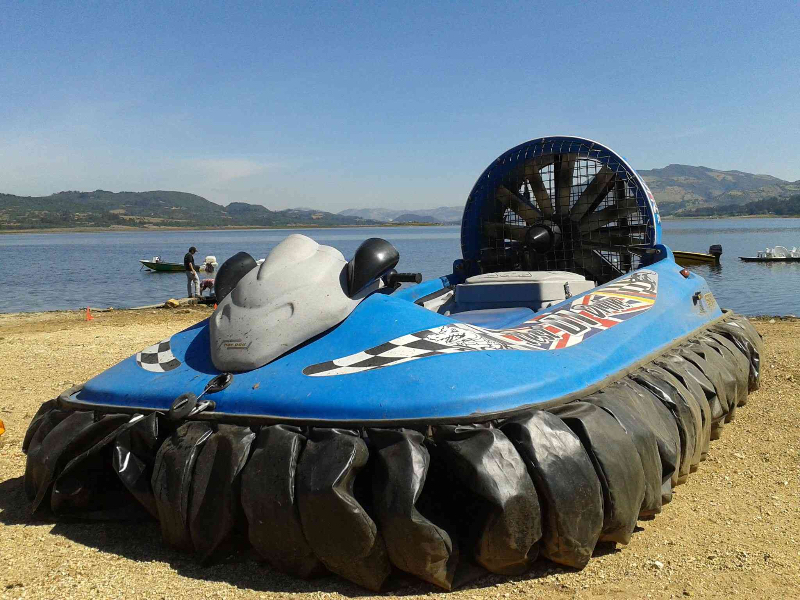 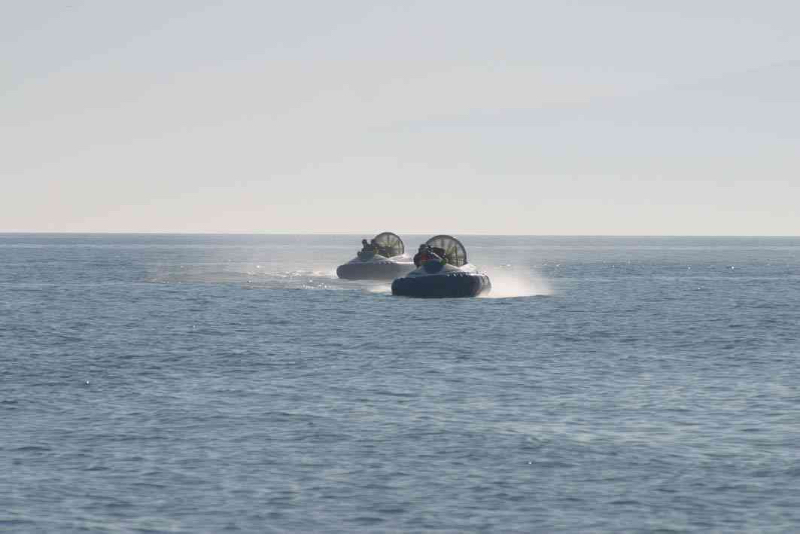 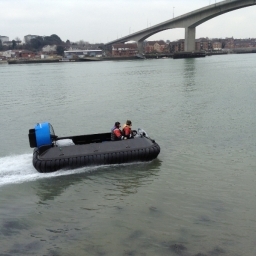 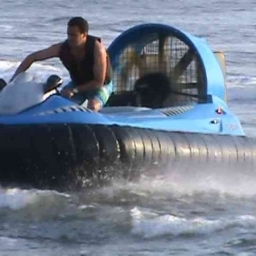 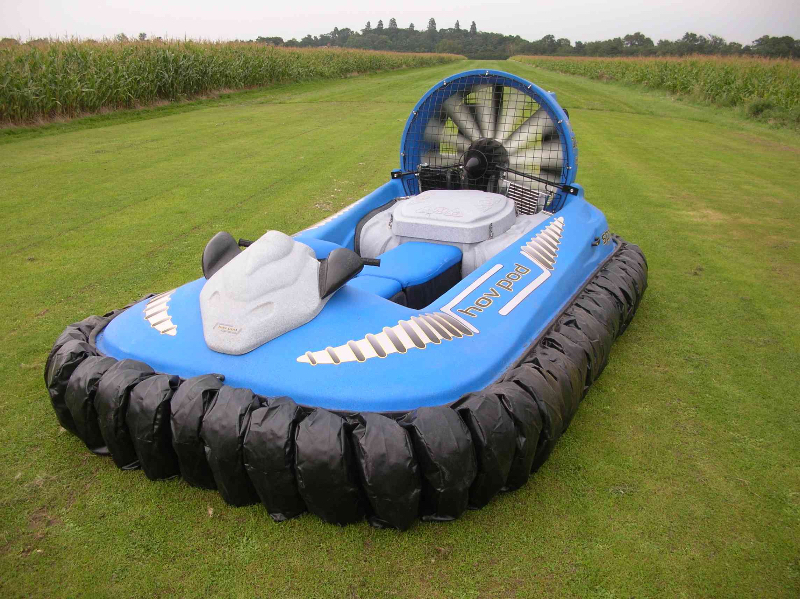 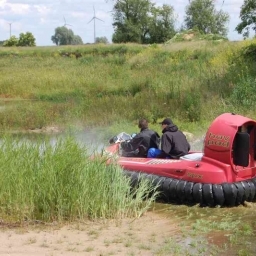 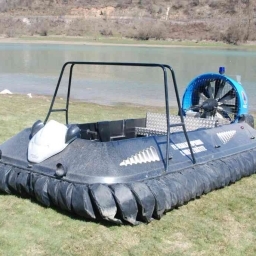 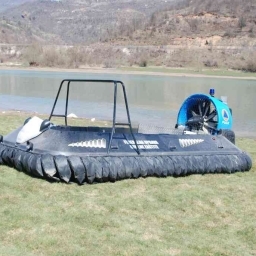 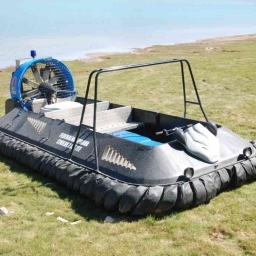 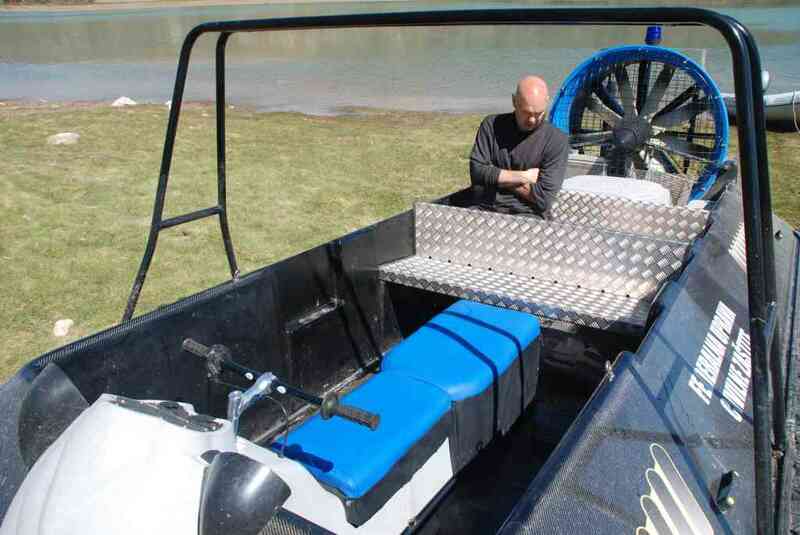 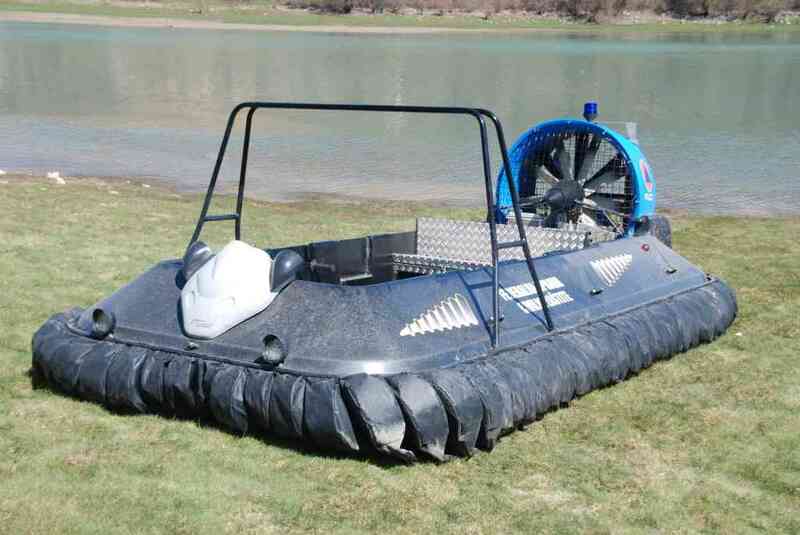 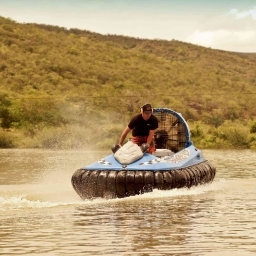 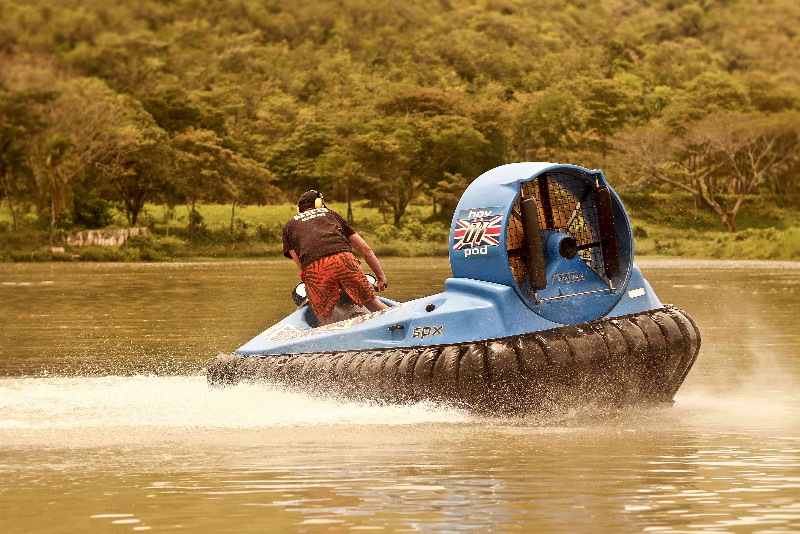 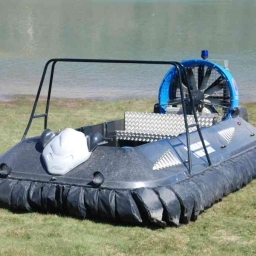 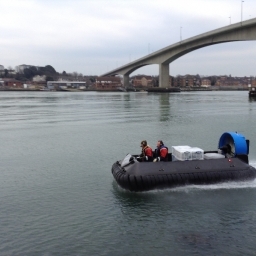 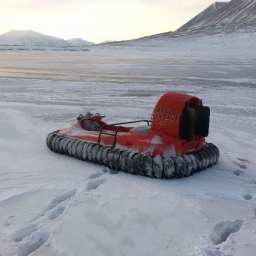 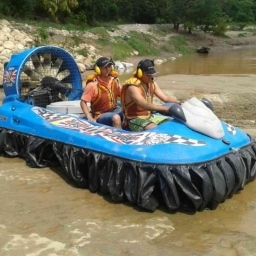 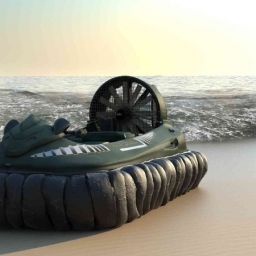 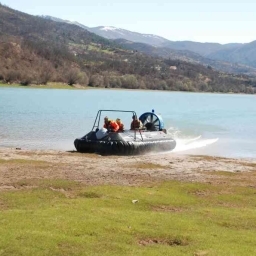 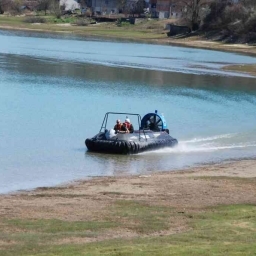 We have been manufacturing the Hov Pod for 15 years now, and when looking at these hovercraft images, it is lovely to see how customers use their hovercraft for a wide range of different applications. 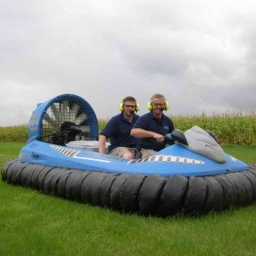 Our first model, the Hov Pod ACX was manufactured from glass fibre, but we became the first manufacturer to move away from GRP construction in 2005 to offer hovercraft manufactured from High Density Polyethylene or HDPE. 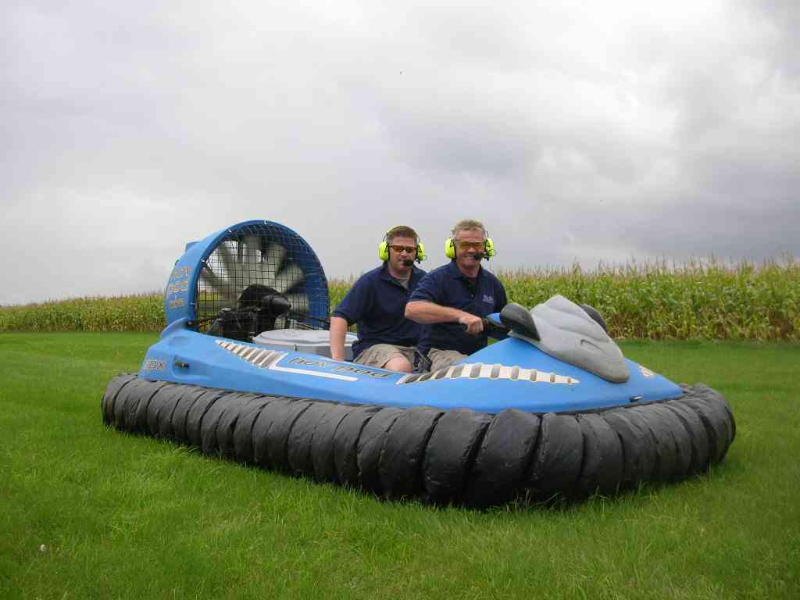 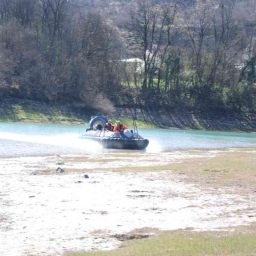 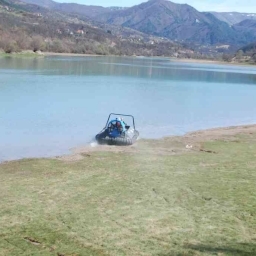 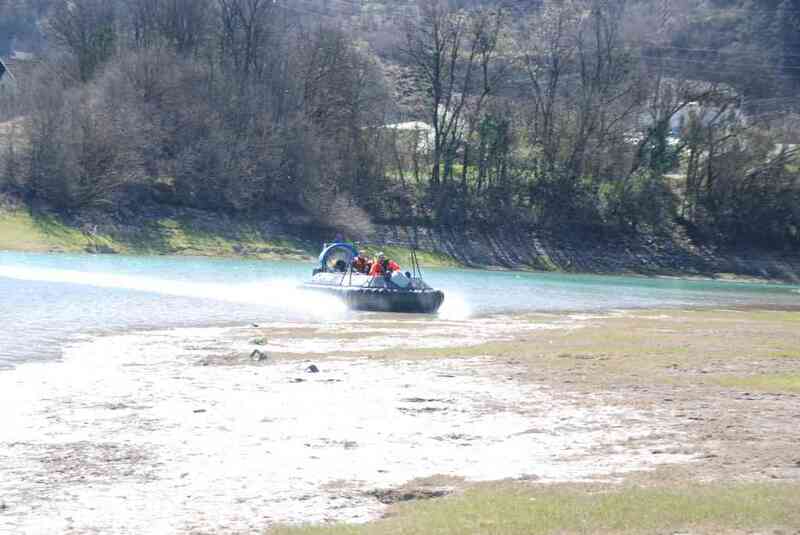 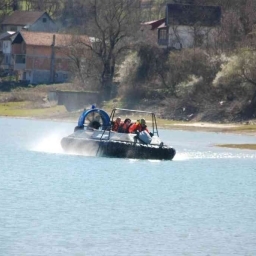 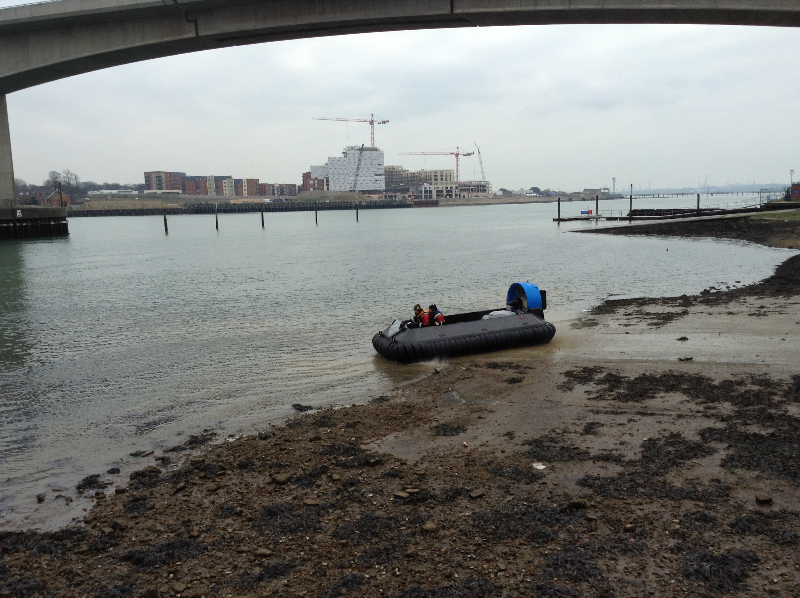 There are a number of problems with glass fibre for hovercraft construction – hovercraft are very weight sensitive, and many suppliers make hulls from very thin lightweight glass fibre. 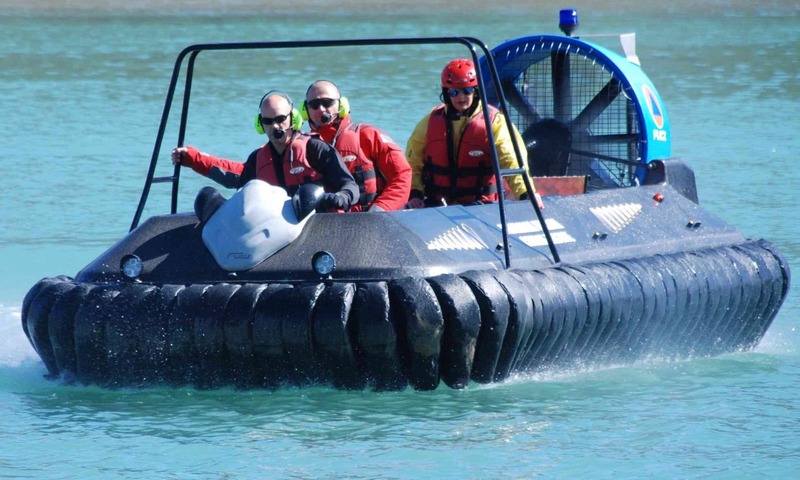 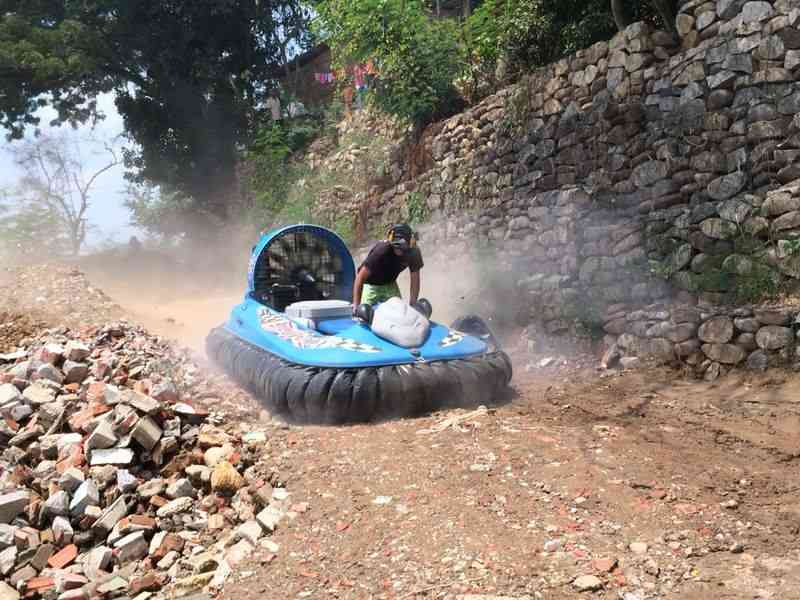 Hovercraft are all-terrain vehicles, so need to be stronger than boats, so a thin GRP hull will not last very long – HDPE is far stronger. 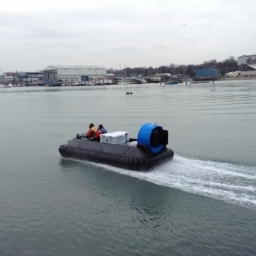 Our first HDPE model was the Hov Pod SPX 65HP model. 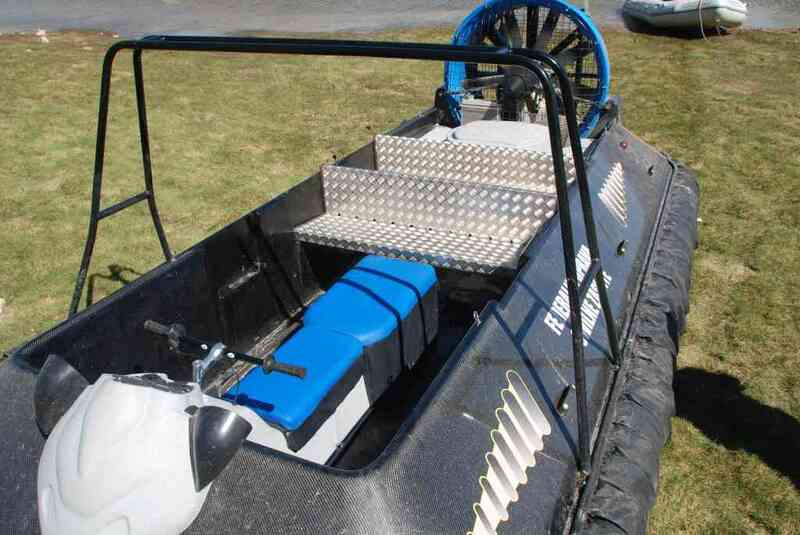 In 2009, we released a second generation HDPE model that is stronger yet lighter than the Hov Pod SPX – the new model Hov Pod SPX TCC. 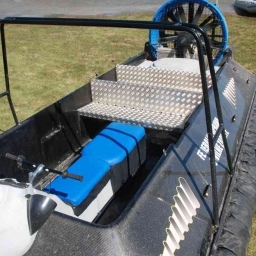 We introduced the Hov Pod SPX TCC 65HP with Rotax 582 engine and Hov Pod SPX TCC 120HP Turbo with the Weber Automotive engine. 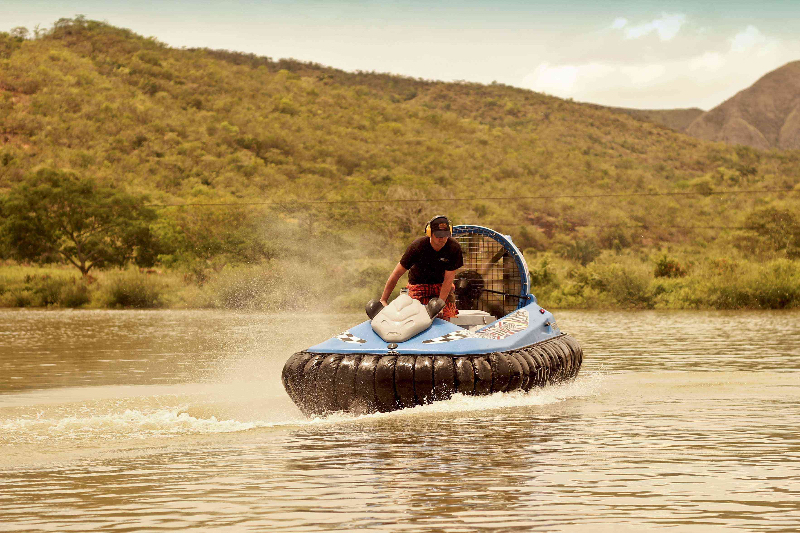 Our new 7-seater model, the Carbon Infinity 120HP Turbo was introduced in 2014, constructed from Carbon Fibre / Kevlar composite with HDPE – this model exploits the strength and lightweight properties of carbon fibre. 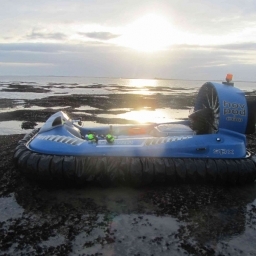 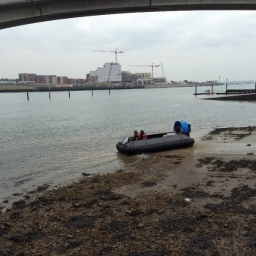 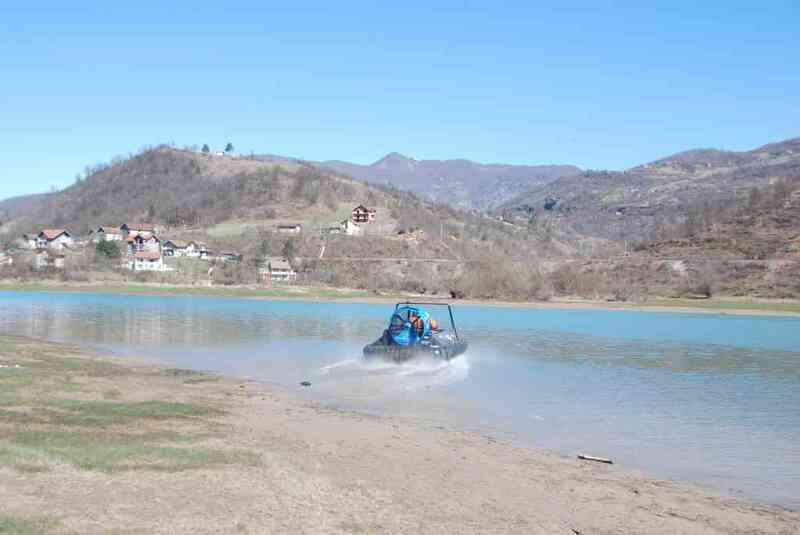 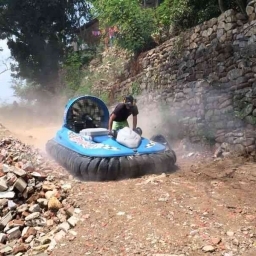 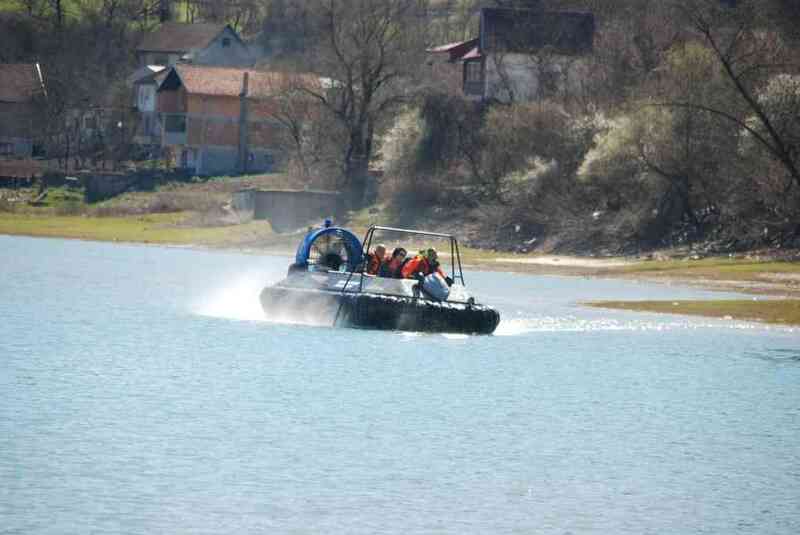 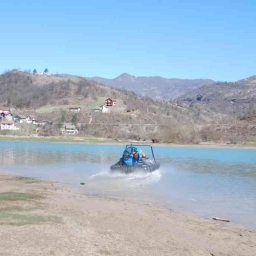 As Hovercraft are weight sensitive models, designers need to consider weight versus safety and performance and we are confident that the incredible strength and lightweight properties of carbon fibre will ensure that no other similar sized hovercraft will be able to compete on price per Kg of payload lift. 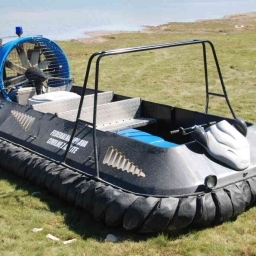 If you need an image for your project, just copy from the page, but please add a reference to this site www.hovercraft.org so that others can discover this hovercraft image resource.